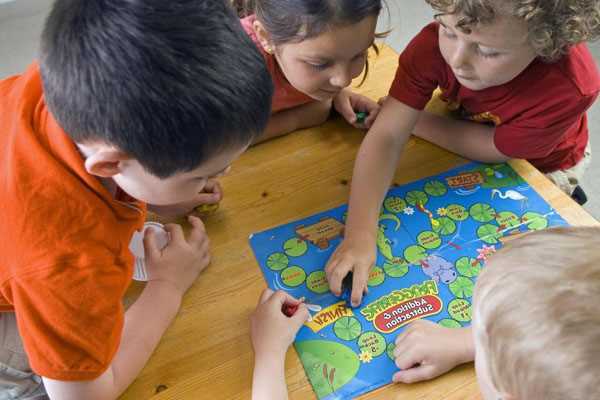 A board game is a tabletop game that involves counters or pieces moved or placed on a pre-marked surface or "board", according to a set of rules. Some games are based on pure strategy, but many contain an element of chance; and some are purely chance, with no element of skill. Games usually have a goal that a player aims to achieve. Early board games represented a battle between two armies, and most modern board games are still based on defeating opponents in terms of counters, winning position, or accrual of points. There are many varieties of board games. Their representation of real-life situations can range from having no inherent theme, like checkers, to having a specific theme and narrative, like Battle ship, Connect4 etc. Rules can range from the very simple, like Othello, to those describing a game universe in great detail, like Dungeons & Dragons – although most of the latter are role-playing games where the board is secondary to the game, serving to help visualize the game scenario. The time required to learn to play or master a game varies greatly from game to game, but is not necessarily correlated with the number or complexity of rules; games like chess or Go possess relatively simple rulesets, but have great strategic depth.